In news that could be of interest to prospective car buyers, Volvo has announced it is the first premium manufacturer to sell more autos in 2009 than in 2008. Figures released today (December 4th) by the Society of Motor Manufacturers and Traders revealed sales were better than they had been in nineteen years. The carmaker said: "This achievement underlines the appeal of the Volvo brand, particularly the new, environmentally conscious DRIVe range, in these challenging times." Managing director of the UK division Peter Rask said the car scrappage scheme had helped business a great deal. Models such as the Volvo C30 SportsCoupe and the XC90 seven-seat SUV bolstered figures with their popularity. He went on to say the coming models would be sure to please and customers should look out for the new C30 and the new C70. 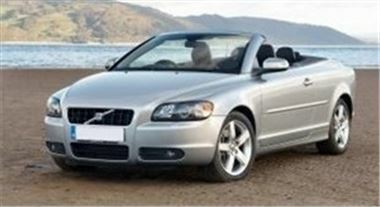 Volvo recently announced prices for these models, which wear a price tag of £14,495 and £25,995 respectively. Are you buying or selling a car? Click here to see what Martonlynn has to say.